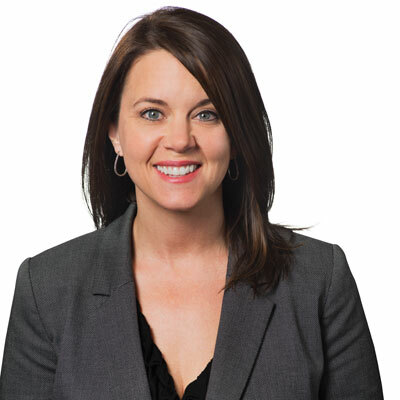 In her current role as Vice President of Product Management, Stambaugh leads SYNNEX' VISUALSolv and Device Mobility business in a solution-centered, application-focused approach to reseller enablement and advancement of technology. She is responsible for eight technology segments and relationships with more than 125 brands. Stambaugh was responsible for aligning with key industry associations in expanding training and support offerings for application-based solutions in key vertical markets (including K-12, public safety, retail and hospitality), to further enable SYNNEX integrators to develop and deploy complex technology solutions and expand into new technology categories such as mobility, digital signage, physical security and cybersecurity. Stambaugh is currently serving a second term on the Board of Directors of the Digital Signage Federation to bring a voice not only to SYNNEX' and distribution's roles, but the channel's role in the advancement of digital signage and technology solutions. She also serves as Co-Chair of its Membership committee. Stambaugh led SYNNEX' VISUALSolv business in above-market growth while expanding responsibilities to include a more solutions-focused, one-brand approach for several of its OEMs. She developed and launched strategic plans with vendor partners, helping them to gain a more solutions-oriented, vertical market approach to supporting resellers. Stambaugh also launched several new strategic vendor partners. In her mobility business, Stambaugh led her team in educating, promoting and driving new strategies and technologies such as unlocked handheld and device-as-a- subscription. Stambaugh continued alignment with the National Systems Contractors Association and PSA to develop and hold the Pivot to Profit event to support customer expansion in key areas like digital signage, cyber security and cloud. Our goal is to outpace the market in growth for our vendor customers overall and in specific target markets while positioning our team as the go to partner for customers in our key technology markets. We aim to leverage our already robust vertical market ecosystem to target growth in key technologies and solutions. Finally, we want to enhance our penetration of growth markets by enabling our resellers with our robust offering of services and solutions and expand into different vertical practices. Stambaugh won the SYNNEX Founder's Award in 2017. This is the most prestigious honor for a SYNNEX employee issued to a select few who exhibit the commitment, dedication and "Can Do" spirit of our founder, Bob Huang. Recipients also embody SYNNEX' core values which include integrity, strong work ethic, execution and results, and continuous learning. Additionally, Stambaugh's team won the SCN Stellar Service Silver award in the "Sales Support You Can Believe In" category for 2017. I have long admired Maya Angelou and the inner strength and subtle power reflected in her poetry. At SYNNEX and in the industry, I am also fortunate to have a network of amazing, smart, dynamic women that teach me and inspire me every day. Invest in yourself and take time to give back to others. Don't miss the world around you and take time to learn as much as you can from everyone you can. Learning from different perspectives helps round out who you are. I would tell myself not to take the world too seriously - we are all learning as we go - it's important to find humor along the way. Finally, I would tell myself to do the things that scare you. Living outside of your comfort zone helps you to become stronger and more well-rounded. If I could master any new job-related skill, it would be to become fluent in a new language. Our world is changing so quickly and becoming more global in nature. It sometimes feels short-sighted and limiting to only speak English. The most impactful book I have read recently is Tribe of Mentors by Timothy Ferriss. I think it's so important to learn from others and to consider different perspectives on living this life - I loved that there were so many insights included from successful and relatable business people.